As a child, Jen was painfully shy and unable to communicate with anyone outside her family – except through drawing. Visual language was her first language, and she never lost her passion for its ability to communicate her emotion. There was never a day she “decided” to become an artist. For Jen, there was just no other way to be. Meaningful relationships and everyday moments are her subject matter, revealing the Jesuit principles of finding God in the everyday and mundane that were instilled in her education. Her current work is focused on representing ancient Catholic tradition in a colorful, folk-style way, suitable for the “domestic churches” of our homes. 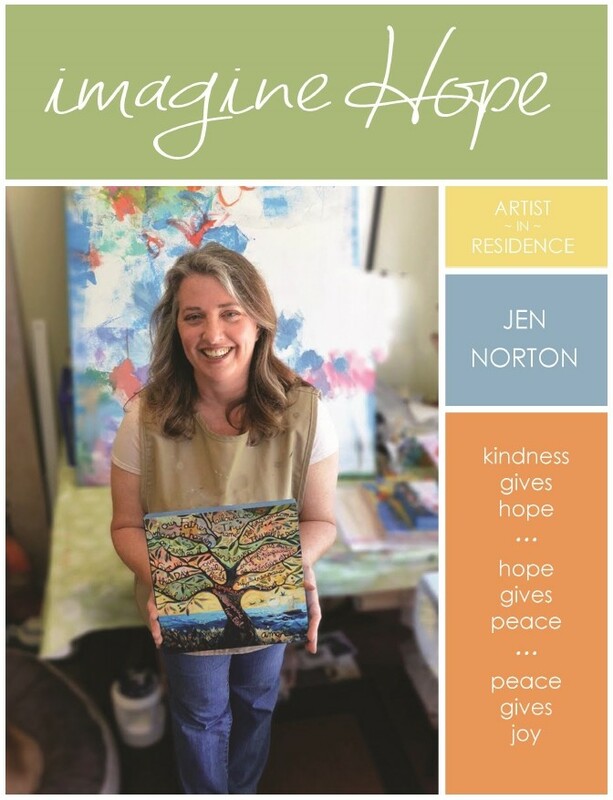 Cailfornia artist Jen Norton will be visiting the valley in November for an Artist in Residence program at St. Bridget’s parish in Mesa. She will be working with the adults, teens and children of the parish on special projects for their faith community. Click on the image/link below to see the full itinerary. Join us at the gallery on Thursday, November 8th from 6:30-9 pm for a special artist reception with Jen! Come get to know the artist be the first to see the unveiling of some brand new works! More information about the event can be found on the Sacred Art Gallery’s facebook page.